Pannier of 12 Rock Oysters. 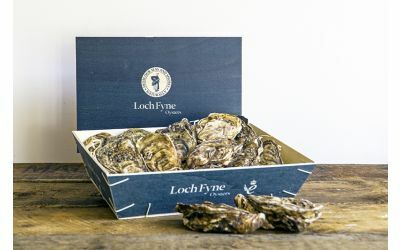 The taste of an individual oyster very much reflects the environment in which it is grown – from open sea sites and bays to sea lochs with lower salt levels. After 2-3 years of care and attention, our oysters reach marketable size. Once harvested, every oyster is graded and purified in filtered natural seawater here at Cairndow. This product is ready to consume without cooking and must be alive when sold. Live oysters will have tightly closed shells and a pleasant odour. 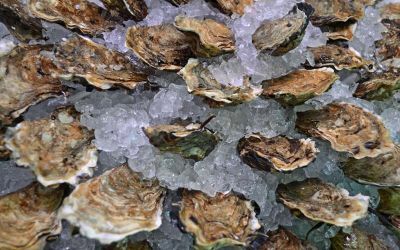 Tapping two healthy oysters together will give a sharp sound like pebbles on a beach. 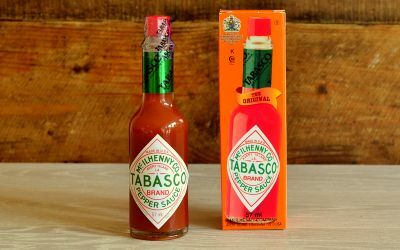 To eat "au naturel" add lemon juice, vinegar seasoning or Tabasco sauce. Store in a refrigerator at 0° to 4° C. Once pack is opened keep refrigerated and consume within the use by. Not suitable for freezing.